In 1903, the German clock manufacturer from Schwarzwäld—Bäuerle Uhrenfabrik (Clock Factory), Sankt Georgen, launched his adding machine Peerless, which soon became popular and won gold medals at exhibitions in St. Louis (World's Fair of 1904), Liège (1905) and Milan (1906). The founder of the company—Mathias Bäuerle (1838-1916) from St. Georgen was in clockmaker business from 1863, when he founded a small workshop, which later evolved to Uhrenfabrik St. Georgen. Initially the company manufactured home, wall clocks with wooden boards, but later specialized in all types of clocks. By 1900 the company's clocks received several awards and the monthly production reached over 5000 watches and clocks, mainly for export. 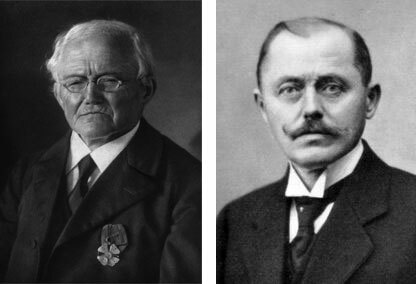 Mathias Bäuerle had 4 sons—Tobias, Fridolin, Christian and Mathias, and at least three of them, Christian (1860-1918), Tobias (1863-1933) and Mathias (1865-1935) were involved in his father's business. Tobias Bäuerle was the main driving force behind the new machine and in 1903 he founded his own company—Tobias Bäuerle & Söhne, to continue the traditional family business with clocks and the new one—calculating machines. From 1918 the company worked together with the Austrian company Herzstark and Co., the manufacturer of Austria calculating machine. Bäuerle produces the raw works, Herzstark added a keyboard, automatic divider device and motor drive. 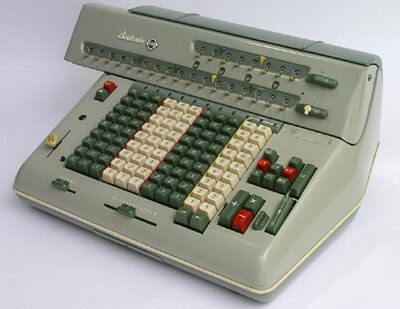 The company was in the business with calculating machines until 1964, producing the Peerless (and modifications Peerless Rapid, with a special gear for multiplication, and Peerless Baby, a portable version) and Badenia (many models) calculating machines, and still exists, but now is manufacturing folding and inserting systems. Peerless and Badenia machines are based on the stepped drum mechanism of Lebniz and the first Peerless is almost the same as the machines of Thomas de Colmar and Arthur Burkhardt, but Tobias Bäuerle immediately began the development of improvements. 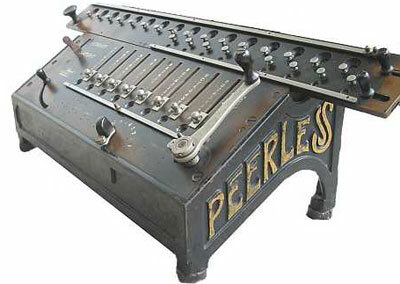 The original Peerless from 1903 was a slider model in wooden box. Dimensions (LxWxH): 34 x 18 x 12 cm (base), weight 6 kg. The second model from next year (see the photo below) was with a cast iron case. 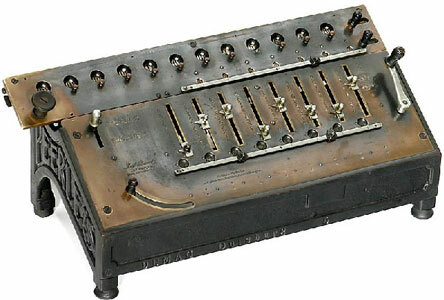 The Peerless Rapid model (see the photo below), introduced in 1907, featured an auxiliary device (called rapid), managed by a crank, to speed up the multiplication: one could set the multiplicand by the moving of the crank, so that only one revolution of the main (right) crank was necessary for multiplication. This mechanism simplified multiplication of large numbers, but introduced high effort and stress into the mechanics. In 1908 was introduced a duplex Peerless with two counters. In 1910 were introduced an adjustable control station, reset key and a motor drive. In 1915 a keyboard input mechanizm was developed. 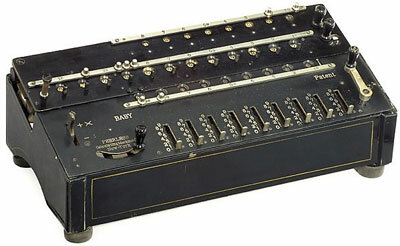 The Peerless Baby (see the photo below) was a portable model. Dimensions are 32 x 16 x 9 cm, weight 4.5 kg. In 1921 was launched the model Badenia, with the same internal mechanism, but with keyboard input mechanism, instead of sliders. Many models of Badenia (and EMBEE Badenia) were produced until 1964, when the production of mechanical calculating machines was stopped.